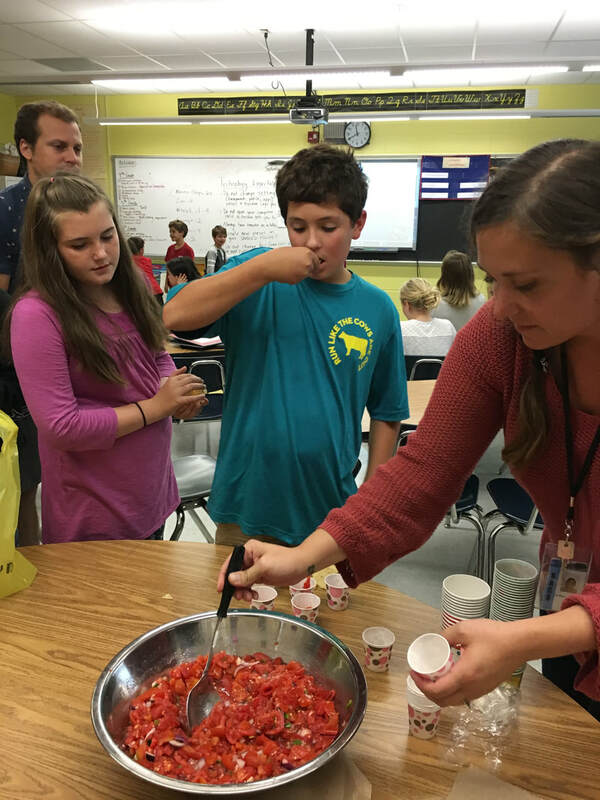 Our school received a $15,000 grant from the Vermont Department of Agriculture in 2013 to establish a sustainable farm to school program. 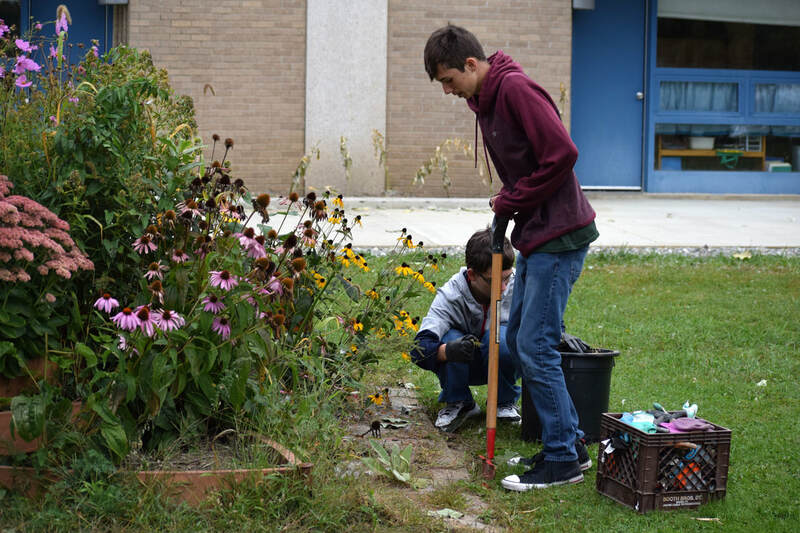 With those funds we hired a part time farm to school coordinator, organized the whole school into planting gardens, harvested produce, and prepared food with children. We also visited, local farms, included more local foods in our cafeteria and broadcasted our achievements to the community. 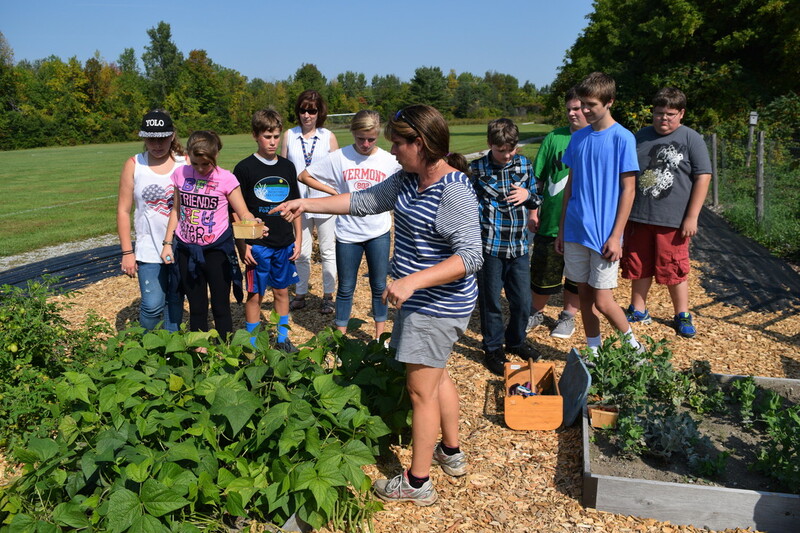 The school board supported continued farm to school leadership in the years following. 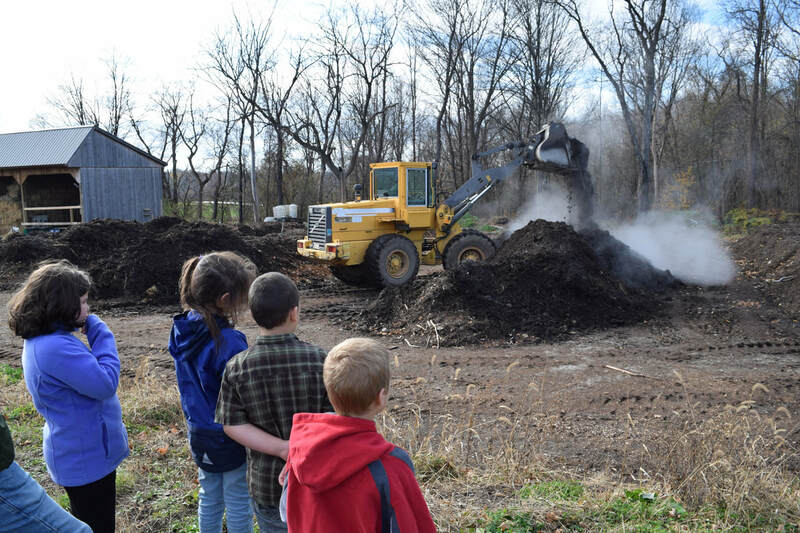 Because of the farm to school program, our children are gaining a better understanding of where their food comes from while enjoying the experiences of growing and preparing healthy food. 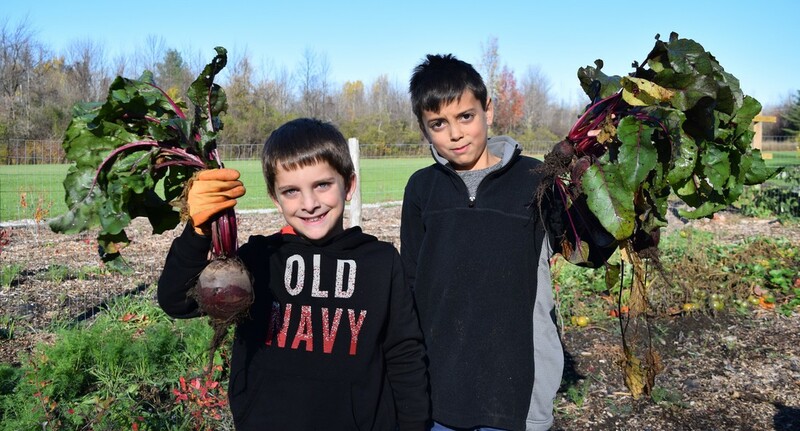 Our multi-faceted farm to school journey is chronicled on this website. 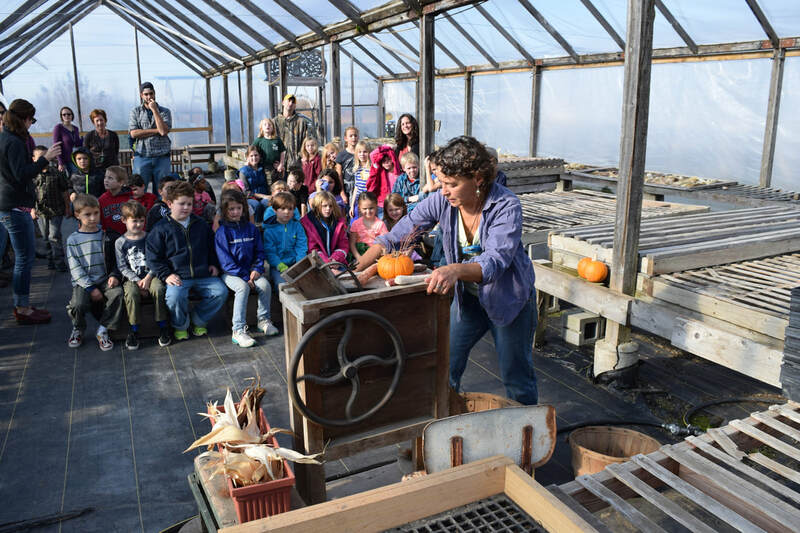 LINK TO VIDEO of the staff leaders attending Farm to School Training at Shelburne Farms in 2013. 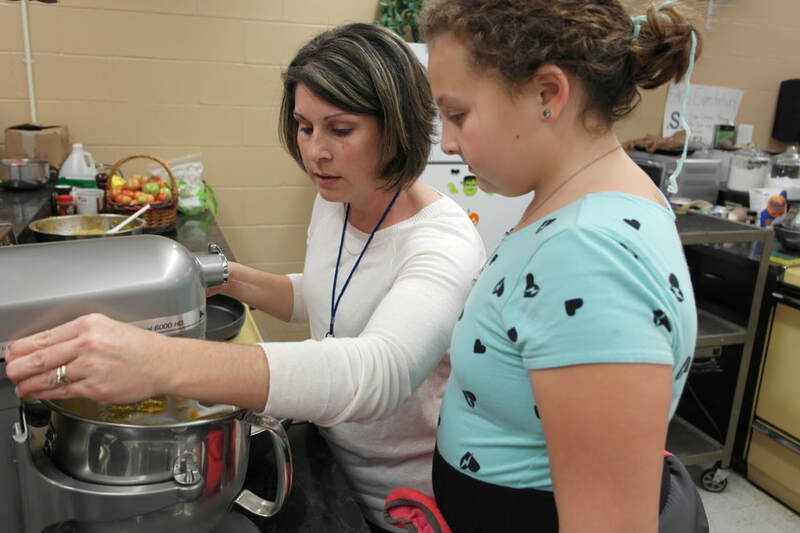 All seven staff members remain engaged in promoting health and learning through the farm to school program - although some are in slightly different teaching roles. 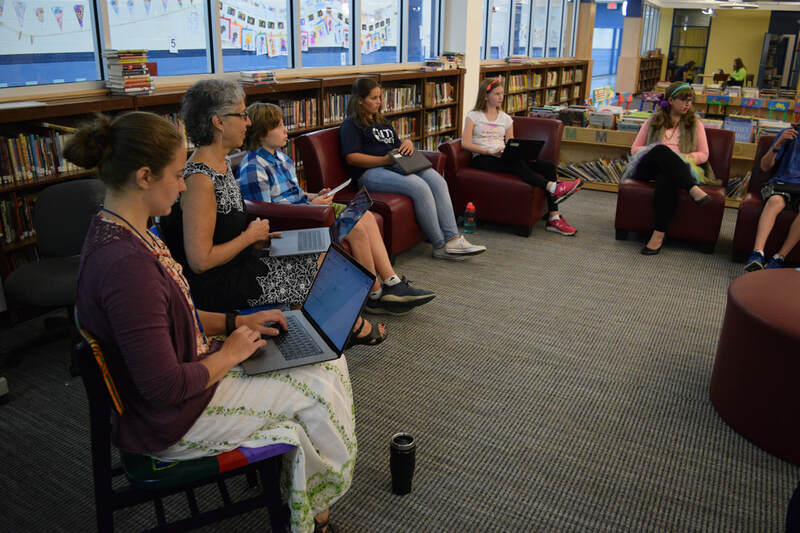 Students proposing a farm to school project to the "land committee"
Presenting the first year of farm to school experiences at the annual Vermont Farm to School conference. 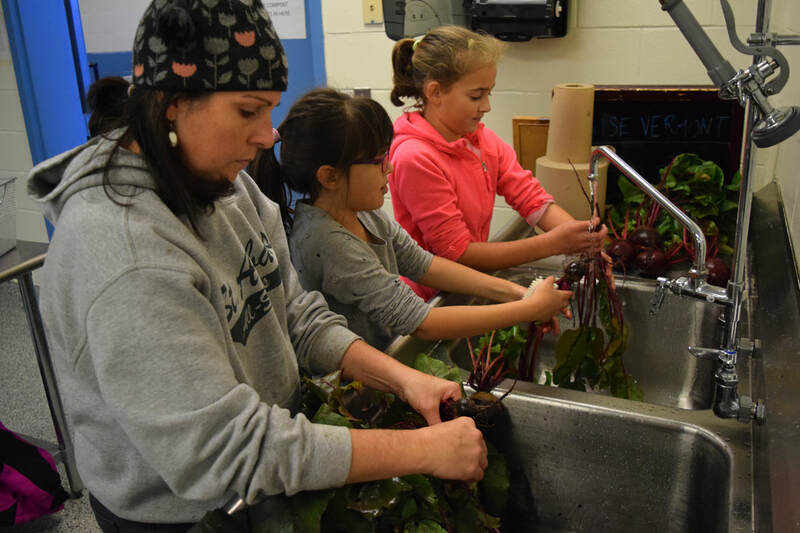 This video describes the steps the school took to start a farm to school program. 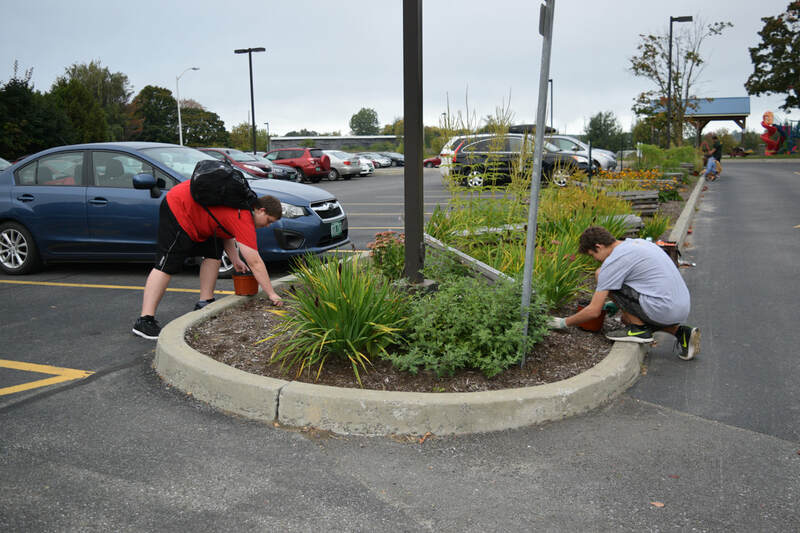 There are garden beds all around the exterior of the school and these are shown being planted by students in the spring of 2013. 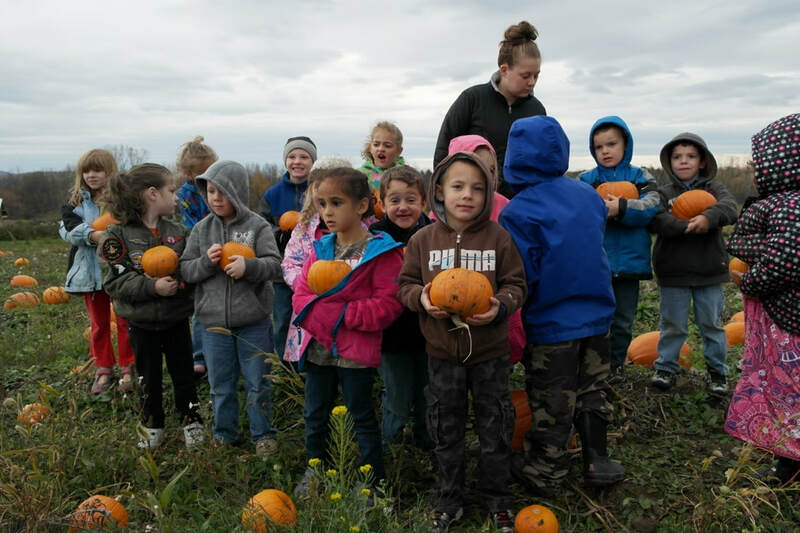 Making a connection with our community and fostering a genuine connection between our kids and our local farmers and producers. 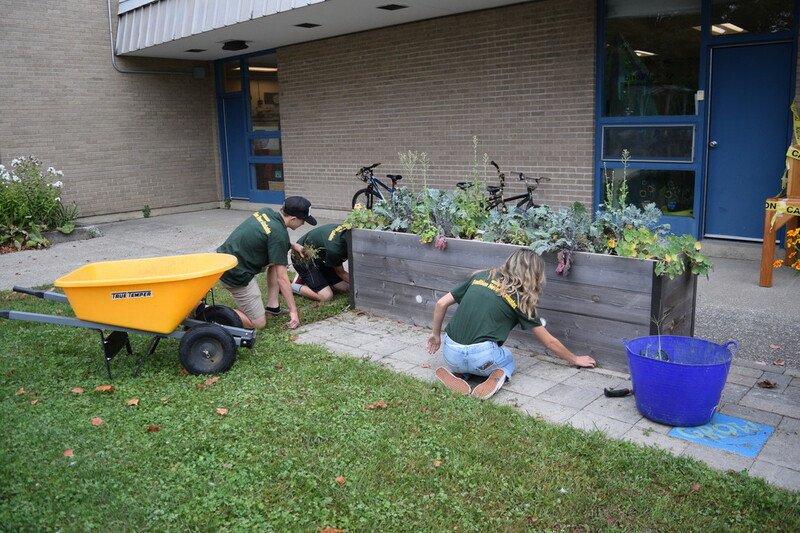 We went from having zero Farm to School infrastructure, to establishing a 50x50 ft. raised bed market garden, planting raspberries, blueberries, pears, apples, and native pollinator gardens, purchasing tools, building a garden shed, having a maple sugar cabin built and delivered, purchasing a cider press, engaging volunteers, and getting kids excited about getting dirty and WORKING OUTSIDE!!! 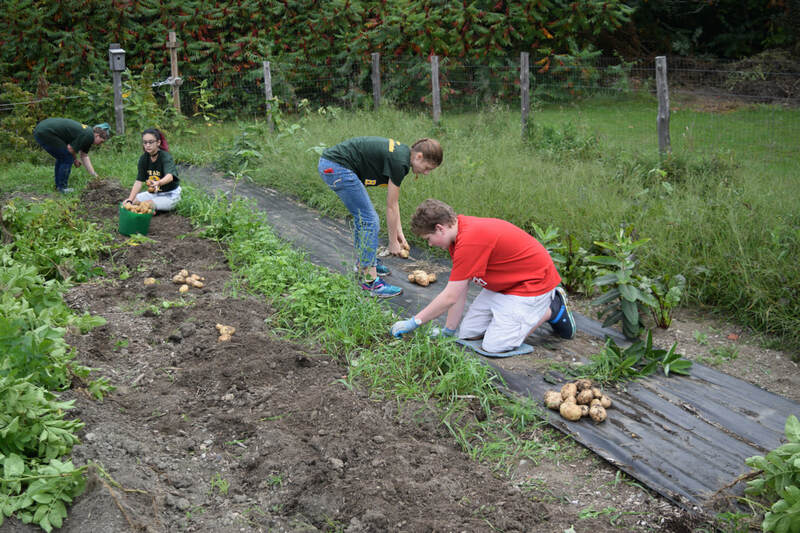 In addition to reaching children through Farm to School, we have taught teachers, staff and parents of children how to grow vegetables, harvest, cook and preserve. And much much more. It is the norm to eat fruit and vegetables without protest!! 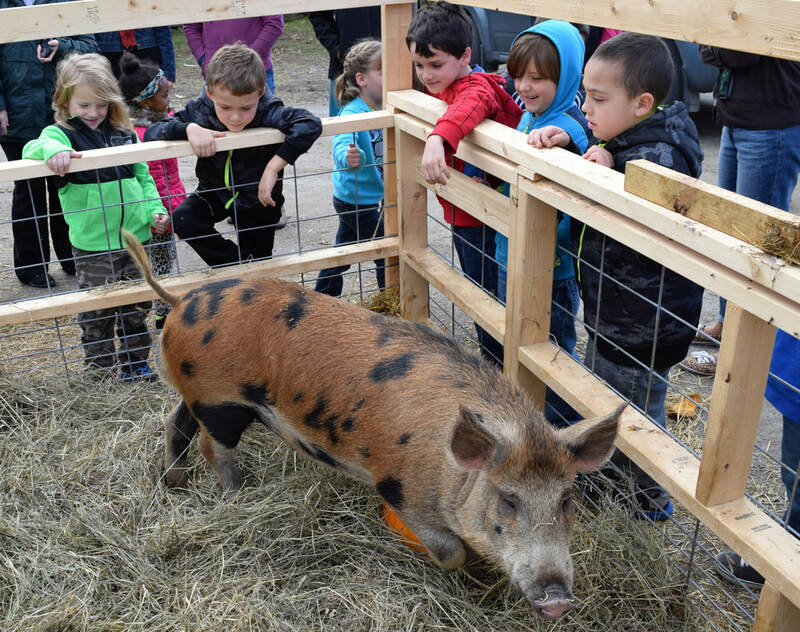 and we have community engagement through local farmer field trips, our annual Open House night celebrating our campus and Farm To School projects. 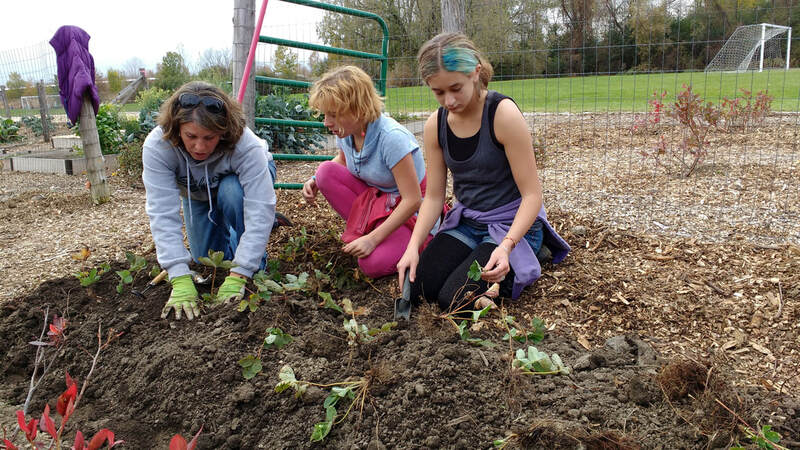 This year (2017/2018) the city school students grew and harvested vegetables from the SACS Market Garden. 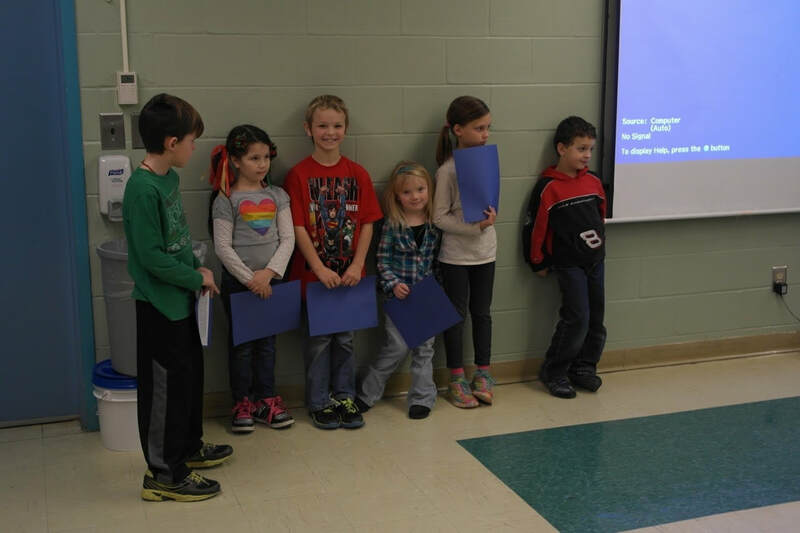 They produced and delivered over 250 pounds of produce throughout the fall to the Abbey group in the cafeteria. 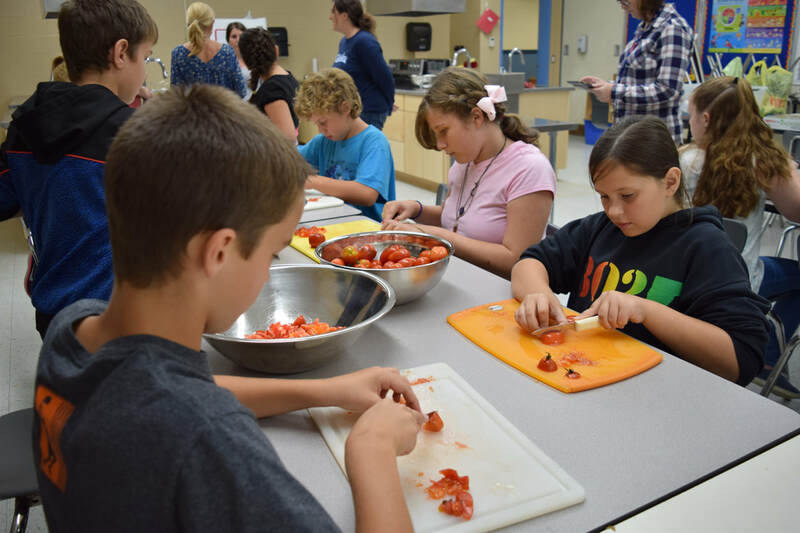 Produce on site is grown by kids, delivered by kids and served to our kids in our cafeteria. Knowing where your food comes from and who grow it is something, we as Vermonters, should never lose sight of. This connection is woven into the fabric of Vermonters and should not be forgotten. 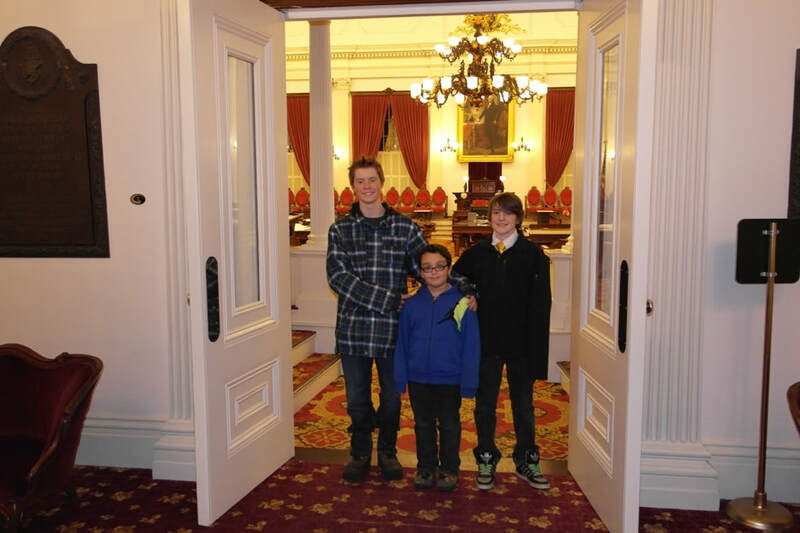 We are grateful to the government of Vermont for helping us start our Farm to School journey over 6 years ago. 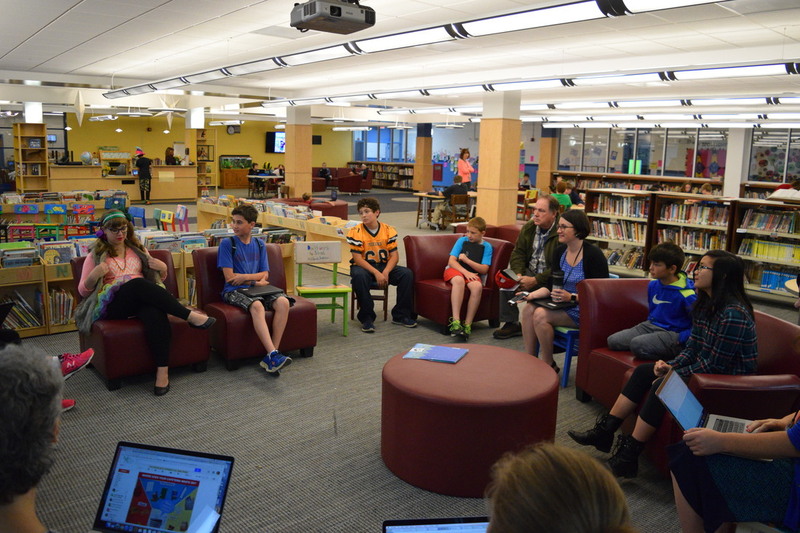 Our state invested less than $20 per student over 18 months with our grant. We can testify that after the 18 months period was over the projects and opportunities did not cease, stagnate or dissolve. They have grown, evolved and impacted our school in ways beyond our hopes and dreams. 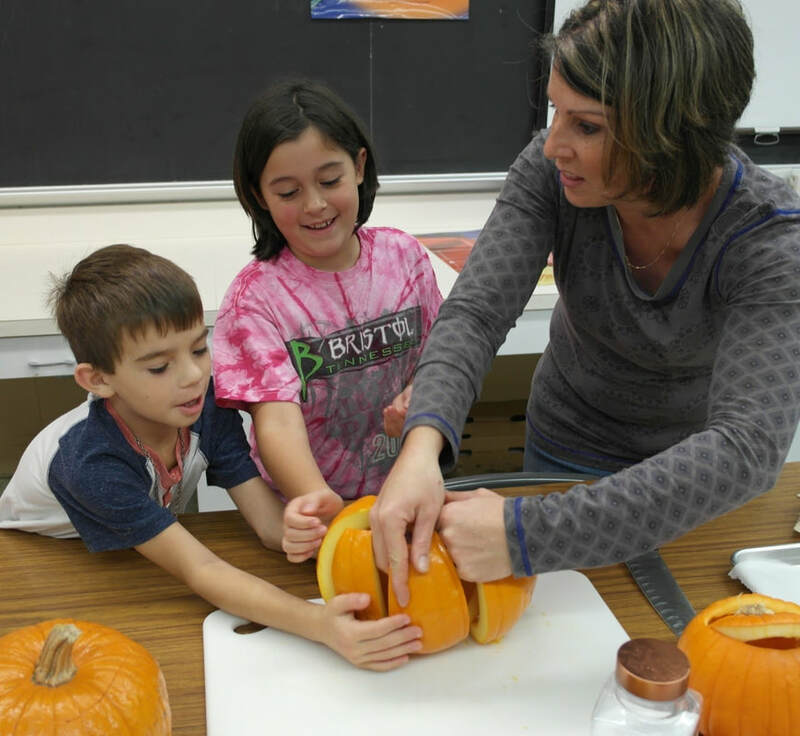 Heather Smith is the Farm to school Coordinator here at St. Albans City School and she has served in this capacity for the last 6+ years. Heather is also an RN specializing in Obstetrics, Neonatal and Pediatric nursing at Northwestern Medical Center. She is a native Vermonter and grew up and worked on her family’s dairy farm in Franklin.